How Saint Patrick helped make Ireland a great place to do business. 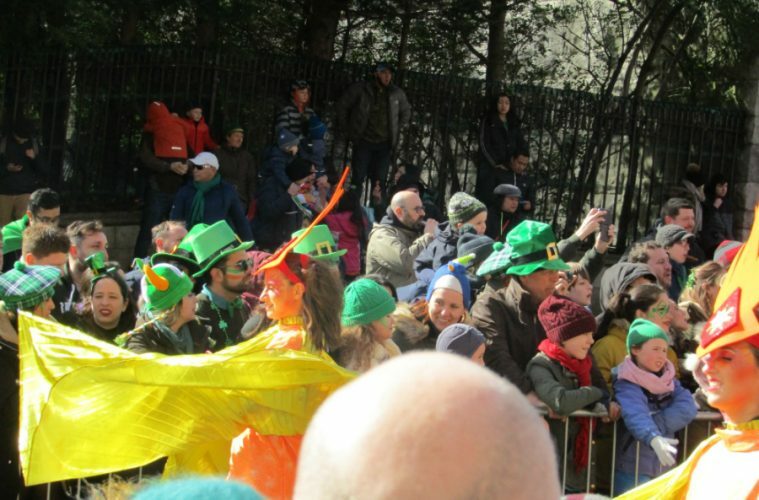 I attended the St Patrick’s day parade in Dublin on March 17th and was awestruck by everything I saw there! On Parnell Square in Dublin city, the majesty of creativity in the floats from all corners of the world along with the splendor of colour that accompanied them was keeping the many lines of spectators glued to the parade. The packed streets were full of people from all ethnic origins with their own creed and views on what the day meant to them. They all wore green and for the day were united under the Irish banner of inclusivity and togetherness. This bridge building quality was inherited from St. Patrick whom after been kidnapped by us in the 5th century from his home in western Britannia (now Wales) returned to Ireland with his faith and his ability to reach people no matter the obstacle. He left us with an important lesson about inclusivity, which still lives in the hearts of the Irish today. St Patrick’s day was revived by the creative Mayor Richard J Daley of Chicago USA in the 1950s. This celebration of bringing communities together packaged in modern-day commercialism was not long in going viral around the world making every St Patrick’s day a day for all to look forward to. As I looked around at all the smiling and happy faces at the parade, I could see how Ireland’s famous day was embraced around the world in a way that made me proud to call myself Irish! The fact is that St. Patrick’s lesson of inclusivity and togetherness has seen us Irish through so many bad times, the relatively good times we now enjoy gives us pause to look back and see what makes us and our cherished land Irish. The first things that came to mind are our inclusiveness, our willingness to accept others not like us and bravely seek understanding before we judge them a friend or not. Also of note is the value we place on human life and when we see the suffering of others, we feel their pain even if we cannot do anything about it. This inheritance has kept us sober in a world, which goes through periods of madness dominated by division, envy, and bigotry. In my view, these cultural values have subtly laid the cornerstones of the modern Ireland we know and love today. My mind then moves onto the nonaligned status of Ireland in the specter of international politics. It highlights our impartiality especially against a backdrop of powerful and aggressive nation states. Where would you find a better fit for adversarial nations to find a common friend then in Ireland? I can think of a few countries that qualify but none with our charm and understanding of the human condition that sets us apart in more ways then one would think. The fact is that our own posture of openness and inclusivity has seen modern Ireland become a world player and not because of our size or our wealth. Our value is in our people first culture and how we value education, innovation and the love of technology in particular. It has propelled our development into a competitive nation state competing with those who far outweigh us in every way but our depth of understanding, which is driven by an instinct to never stop learning. US multinationals, in particular, have recognised this and the inherent stability it brings. We have created by our internal cooperation as a people a competitive nation-state through our government policies. This people support factor has made it sustainable, which is why Dublin, in particular, has become such a tech hot spot. Ireland has also embraced technology companies from the east extending past the boundaries of our fine land but never the boundaries of our humanity. We have welcomed strangers as friends for thousands of years and today, we are also inheriting a reputation from our own business expansion into the world that makes Ireland a great place to do business. Integrity, inclusiveness, high-quality skills, approachability, financial competitiveness, and innovation are not only the result of policy decisions, but they also derive from the heart of our national identity. The willingness to accept others, who are not of our blood as one of us is something that has driven us to be curious about the world and to understand it in depth. I submit this aspect of our national identity has resulted in an important layer of our societal fabric that has spawned these traits in the modern Irish making Ireland a great place to do business in.